As eager as I was a few days ago, I already find myself wishing this Whole30 would go by faster. It’s only Day 3?! Today was a school day, so everything was packed and prepared yesterday. 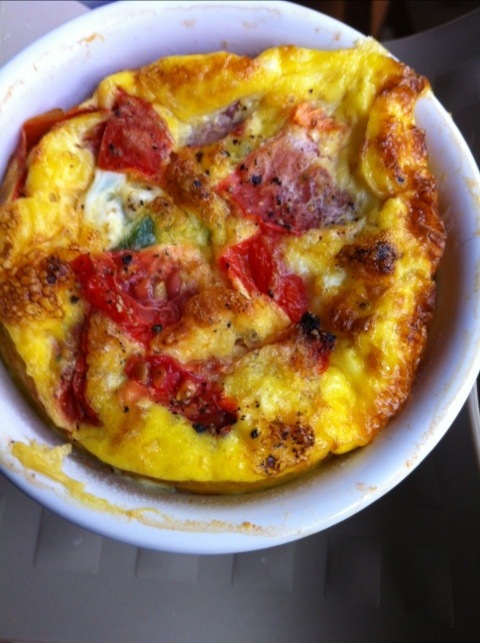 A frittata of sorts, prepared yesterday and reheated this morning. I added 3 beaten eggs to a stoneware dish that I had put my usual omelette ingredients into: spinach, red pepper, onion, jalapeño, and tomato. 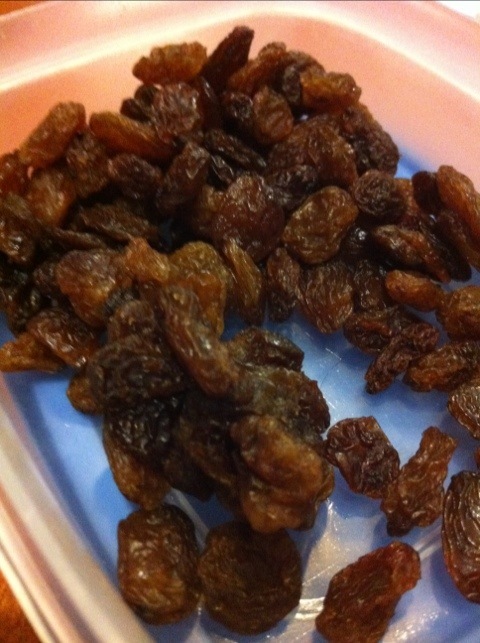 I baked it, uncovered, at about 350 for about 15 minutes, then reheated it in the microwave this morning. Coffee with coconut milk, for the road. Egg salad, made with my mouth-wateringly delicious homemade mayo (yes, it IS worthy of those superlatives) and chopped onion. 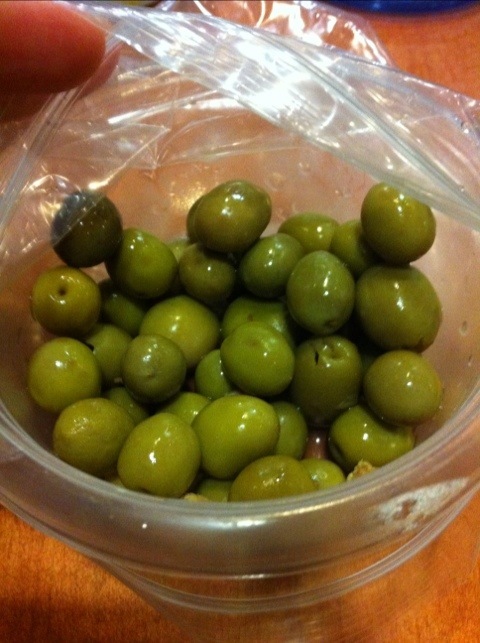 Next time, I will use green onion and perhaps some celery. And maybe some curry powder. 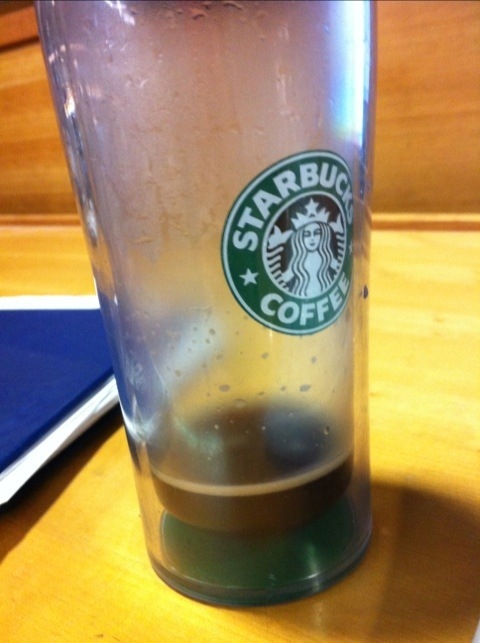 One lonely espresso shot in a mug built for many. 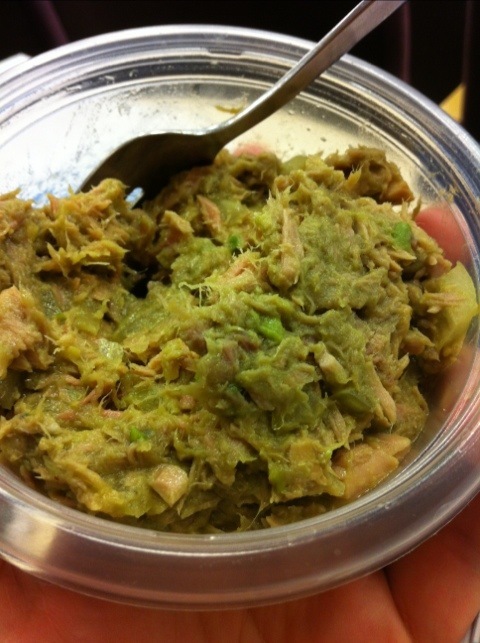 “Green Goo,” aka tuna with avocado and some chopped onion. I really wish I had added mayo to it before mixing it up and putting it in a container, but oh well. 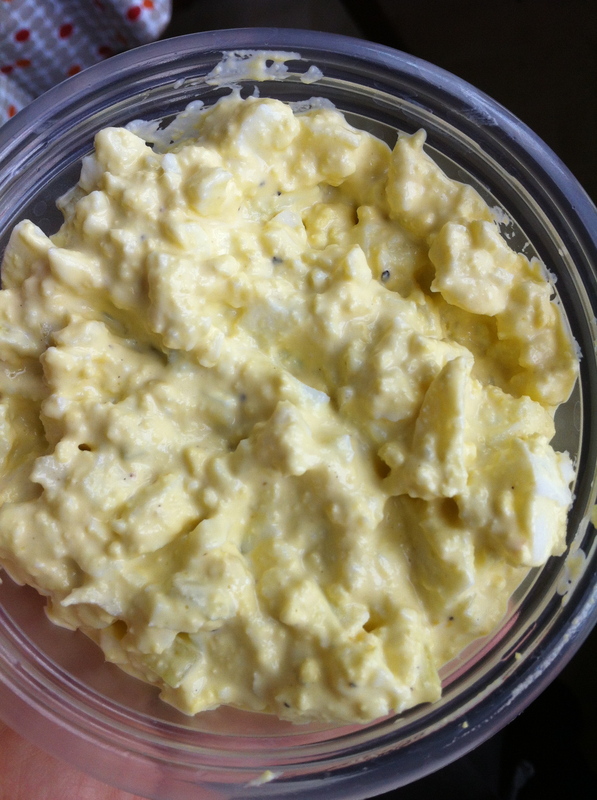 Could you post your exact egg salad recipe please? I will try to do that tonight.